In the next few weeks, we will be looking at the Six Lamaze Healthy Birth Practices and why they are important for promoting healthy births. We will also see how many of these optimal birth practices are actively discouraged for "obese" women during labor and how this impacts their cesarean rate, birth experiences, and breastfeeding. Ironically, this is one of the most often ignored in current obstetric practice with women of size. Inducing labor, especially in first-time mothers, tends to increase the risk for cesareans. The mother's body may not be ready to dilate fully and she may therefore end up with a cesarean for "Failure To Progress" (FTP). Or the baby may not yet be in the easiest position for birth and the mother may end up with a cesarean for "Cephalo-Pelvic Disproportion" (CPD, or baby didn't fit right). Inducing labor also increases the risks for vacuum- and forceps-assisted births. This is often because the baby had not yet moved into an optimal position for birth, or because the mother has an epidural and the baby cannot rotate easily through the pelvis. Help may be needed to get the baby out, but this help often also comes with the price of an episiotomy (cutting to widen the vaginal opening). Inducing labor early can also result in a "near-term" preemie which may experience problems with jaundice, low blood sugar, and difficulty breastfeeding. Even close to term, the baby's lungs may not be completely ready to breathe yet on the outside, and as a result, the baby may experience respiratory distress after the birth and end up in the Neonatal Intensive Care Unit (NICU). Induction also carries direct risks to both mother and baby in other ways as well. For example, the induced mother's uterus may experience "tachysystole" (hyperstimulation) and labor may need to be stopped before it results in uterine rupture (a tear in the uterus) or placental abruption (the placenta pulling away from the uterus prematurely). Induction is also associated with amniotic fluid embolism, and while rare, this can result in death to the mother. Synthetic oxytocin administered in labor does not act like the body’s own oxytocin. First, syntocinon-induced contractions are different from natural contractions, and these differences can cause a reduced blood flow to the baby. For example, waves can occur almost on top of each other when too high a dose of synthetic oxytocin is given, and it also causes the resting tone of the uterus to increase. Second, oxytocin, synthetic or not, cannot cross from the body to the brain through the blood-brain barrier. This means that syntocinon, introduced into the body by injection or drip, does not act as the hormone of love. However, it does provide the hormonal system with negative feedback—that is, oxytocin receptors in the laboring woman’s body detect high levels of oxytocin and signal the brain to reduce production. We know that women with syntocinon infusions are at higher risk of bleeding after the birth, because their own oxytocin production has been shut down. Induction also carries risks to the baby. Induction often involves breaking the mother's amniotic sac manually at some point during labor, which carries the risk of umbilical cord prolapse. Although rare, this can cause brain damage or even death to the baby and necessitates an immediate emergency cesarean. The use of labor induction drugs often causes contractions that are harder and closer together than in spontaneous labor, and as a result, baby is not given as much time to recover its oxygenation between contractions. This lack of recovery time can cause fetal distress. This is why babies must be continuously monitored during an induced or augmented labor. These harder, longer, and more intense contractions often also result in a higher use of pain medications by the mother. There is nothing wrong with choosing to receive pain medications if you need them (and it's great that women have the choice available if needed), but it's important to remember that these are strong medications and they do carry real risks to both mother and baby. While many women go into labor intending to "go natural" (without pain medications), this becomes very difficult if the mother is induced. Although not impossible, it's a rare woman who is able to complete a whole induced labor and birth without at least some pain medications. In addition to an increased risk for mild prematurity and cesarean surgery, induced labor often creates the need for more medical interventions. In most cases, if you are induced, you will need an IV and continuous electronic fetal heart rate monitoring. In many settings, you must stay in bed or very close to the bed. As a result, you may be unable to walk freely or change positions in response to your labor contractions, possibly slowing the progress of your labor. You may be unable to take advantage of a soothing tub bath or a warm shower to ease the pain of your labor contractions. Artificially induced contractions often peak sooner and remain intense longer than natural contractions, increasing your need for pain medications. Labor induction leads to a cascade of interventions, which often result in cesarean surgery. Induction of labor is far from the benign and minimally risky option that many doctors portray it to be. It has real risks, and in many cases these risks are underplayed. Sometimes induction of labor is truly needed, and as with cesareans, we can be glad that it is available when needed. However, also as with cesareans, its casual overuse without sufficient consideration about possible risks may result in significant harm. Research (insert major-league sanity watchers points if you read these studies!) consistently shows that fat women have higher rates of induction than their average-sized or underweight peers. Yet few studies connect the dots between an elevated rate of induction and a higher cesarean rate in this group. Michlin 2000 found an induction rate of 20.4% in "obese" mothers, vs. an induction rate of 10.2% in "normal weight" mothers. Graves 2006 found an induction rate of 33.7% in "obese" women (BMI greater than 29), versus 19.2% in "normal" weight women (BMI 19.8-26 in this study), or 12.6% in underweight women (BMI less than 19.8). Numerous other studies have also found an increased rate of induction among "obese" women. Sometimes the higher rate of induction in "obese" women is because they have higher rate of medical complications like pre-eclampsia (blood pressure issues), where getting the baby out sooner may be important. In these cases, a higher rate of induction could be justified. However, research also shows that even when there are no medical complications, "obese" women are induced at a higher rate than average-sized women. For example, Usha Kiran 2005 studied 677 "obese" (BMI greater than 30) women in Wales with no complications. They still found a higher induction rate of 36% in "obese" women, compared to a 25.5% induction rate in the control group (BMI 20-30). So the story of high induction rates goes well beyond complication rates. This raises the question: Why are "obese" women induced at such high rates? The answer is that there are many factors in this trend. Some of it is fear. The hyperbole about risk in obesity and pregnancy has created such a state of anxiety that many practitioners assume that inducing labor earlier is better, ostensibly before complications can occur. Alas, there is little recognition that they may actually introduce more risks than they alleviate by inducing early, and little work has been done to challenge or affirm whether inducing early helps or harms women of size. Another factor may be biological differences. For example, fat women tend to have longer gestations and more "postdates" pregnancies. This may be tied to the fact that many women of size have longer menstrual cycles (which, unless greatly divergent, is rarely adjusted for in pregnancy dating). In addition, the definition of "postdates" has shortened in many studies, making even more fat women fall outside the narrowing definition of normal. This may have the net affect of raising the induction rates in women of size even higher. In fact, in two of the studies above with high "obese" induction rates (Graves 2006 and Usha Kiran 2005), postdates pregnancies were listed as a major cause of the high induction rates. In Usha Kiran 2005, 41% of the "obese" women had "post-dates" pregnancies, which this study defined as greater than 41 weeks. This poses the question....if nearly half of the "obese" women have "postdates" pregnancies, doesn't this suggest that something about the definition of postdates or the dating of these women is wrong? And in fact, the Usha Kiran study also shows how strongly induction negatively influenced outcomes in the "obese" group. Tellingly, the cesarean rate in the "obese" group with spontaneous labor was 19%, whereas it was 41% in the induced group. Nearly half the "obese" women who were induced ended up with a cesarean, but only one-fifth of the ones with spontaneous labor had a cesarean. The study further noted that the induction of labor was the start of many problems for the "obese" women in the group, including more blood loss, more UTIs, more babies in the NICU, more feeding difficulties, more neonatal trauma, etc. The high rate of induction in women of size is one of the strongest factors in the high rate of cesareans in women of size, and may factor into other negative outcomes in this group....yet there is very little recognition of this fact among medical professionals. The strongest factor by far in the high induction rate of "obese" women is the fear of a big baby. I can't stress this strongly enough. In my opinion, fear of big babies is what's really driving the high cesarean rate in women of size. Doctors and many midwives have been trained to think that most big mamas produce big, "overly fat" babies, and therefore are strongly at risk for shoulder dystocia (where the baby's shoulders get stuck and baby may be injured). Because shoulder dystocia injury is one of the main causes of practitioners being sued, many practice defensive medicine. With macrosomia (big baby), this means many induce labor early for women suspected of having a big baby. They reason that bringing labor on a bit early, while the baby is smaller, may make it easier for the baby to be born without shoulder dystocia. Now, this sounds logical--induce early while the baby is small to increase the chances of it coming out vaginallyand safely--but unfortunately, research shows exactly the opposite effect. Studies actually show that inducing for a big baby often worsens outcome. The Healthy Birth Practices handout on "Let Labor Begin on Its Own" makes a point of debunking the common idea that it's important to induce early when a big baby is suspected. It is also important to know that suspecting a large or very large baby is not a medical reason for induction. Studies have shown that inducing labor for macrosomia (large baby) almost doubles the risk of having cesarean surgery without improving the outcome for the baby (Horrigan, 2001; Leaphart, Meyer, & Capeless, 1997; Sadeh-Mestechkin et al., 2008; Sanchez-Ramos, Bernstein, & Kaunitz, 2002). Furthermore, it is very difficult to know how big your baby is until he is born. Ultrasound is not good at predicting macrosomic (very large) babies. According to ACOG (2009), an ultrasound estimate of the baby’s weight is imprecise, with a variability of 16% to 20%. Simhayoff 2004 found inducing labor in women with macrosomic babies increased the cesarean rate, not decreased it. The c-section rate in the induced group was 17.8%, vs. 11.9% in the group with spontaneous labor. 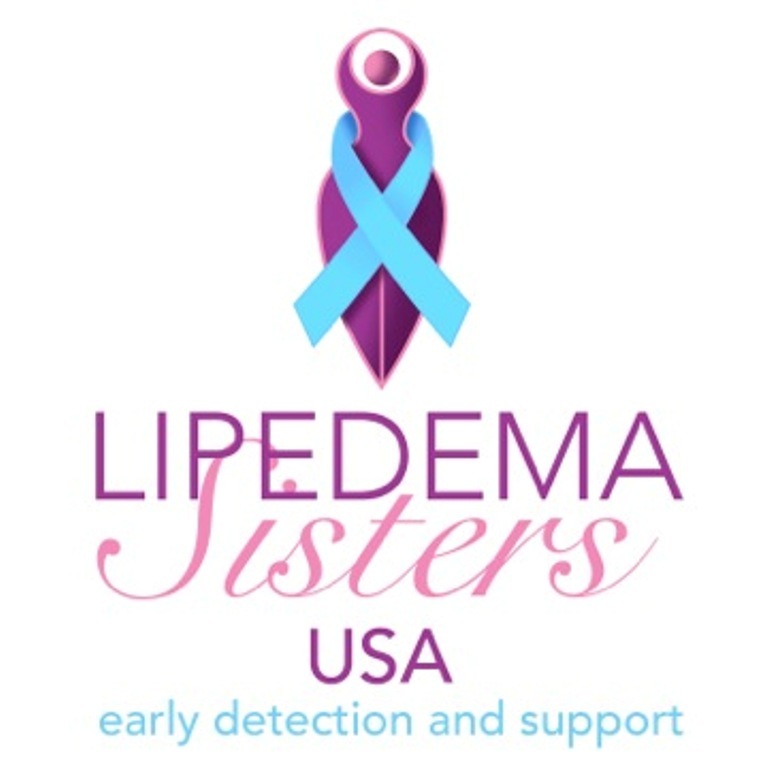 Leaphart 1997 found that inducing for macrosomia more than doubled the cesarean rates, from 17% to 36%, while not significantly reducing shoulder dystocia rates. Combs 1993 found that inducing for macrosomia increased the cesarean rate from 31% to 57%, and there was twice as much shoulder dystocia in the induced group. Navti 2007 studied the management of women with macrosomic babies at their institution in the U.K. They concluded that "induction for fetal macrosomia alone did not improve outcome but was associated with a significantly higher emergency caesarean section rate and should therefore be discouraged." Another troubling aspect of induction for suspected macrosomia is the inaccuracy of estimating fetal size. Research shows that ultrasounds for fetal size are particularly poor at predicting macrosomic babies accurately. Furthermore, it also shows that the mere suspicion of macrosomia often raises the cesarean rate significantly. Weiner 2002 found that merely estimating the baby to be big--even when it wasn't big at all--doubled the cesarean rate. When the baby is suspected to be large, there may be a lower threshold for diagnosing labor troubles and proceeding to a cesarean. Blackwell 2009 found a higher cesarean rate for labor arrest (34.8%) in those mothers in whom fetal weight was overestimated, vs. those for whom fetal weight was not overestimated (13.3%), despite similar actual labor lengths. This shows that when a big baby is suspected, practitioners expect labor to be abnormal and are quicker to order a cesarean. Sadeh-Mestechkin et al., 2008, found that when macrosomia was suspected and the baby really was big, the induction rate was much higher (42.1%) than when the baby really was macrosomic but nobody suspected that (13.6%). As a result, the c-section rate was much higher in the suspected macrosomia group (57.1%!) than in the non-suspected macrosomia group (16.7%), even though babies in both groups were actually big. Let me repeat that. Both sets of babies were big, but the suspicion of macrosomia raised the c-section rate from 16.7% to a whopping 57.1%. In other words, the size of the baby itself had much less impact on the cesarean rate than the perception that the baby might be big and the resulting management of labor. A higher cesarean rate might be acceptable if induction of labor for macrosomia actually prevented shoulder dystocia and related birth injuries, but research shows that it does not. In fact, one extremely large study (Christoffersson 2003) shows that induction of labor (especially when associated with epidurals and vacuum/forceps delivery, as induction of labor often is) actually increases the risk for shoulder dystocia. There is a significantly increased risk of shoulder dystocia as birth weight linearly increases. From a prospective point of view, however, prepregnancy and antepartum risk factors have exceedingly poor predictive value for the prediction of shoulder dystocia. Late pregnancy ultrasound likewise displays low sensitivity, decreasing accuracy with increasing birth weight, and an overall tendency to overestimate the birth weight. Induction of labor for suspected fetal macrosomia has not been shown to alter the incidence of shoulder dystocia among nondiabetic patients. Sadeh-Mestechkin et al., 2008, also concluded, "Our ability to predict macrosomia is poor. Our management policy of suspected macrosomic pregnancies raises induction of labor and cesarean delivery rates without improving maternal or fetal outcome." Although research continues to pour in, showing that induction for macrosomia worsens outcomes and that even estimation of fetal weight is harmful, providers continue to resist changing their practice patterns. Ultrasounds to estimate fetal weight remain routine at the end of pregnancy, and induction for suspected macrosomia remains very common. Despite all the evidence that estimating fetal weight and inducing early for macrosomia actually worsens outcomes, it is still routine practice to do these things with "obese" women in particular. Very few practitioners question doing it. 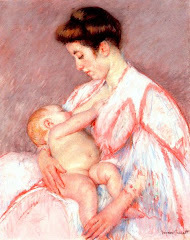 Many providers cite shoulder dystocia as the reason for doing so, believing that fat women are at particularly high risk for shoulder dystocia, while others believe that inducing early will increase a fat woman's chance of having a vaginal birth. But does research really bear out these assumptions? It is true that "obese" women, on average, do have bigger babies than women of average size. However, most fat women do not have macrosomic babies. Michlin 2000, discussed above in the induction section, found that "obese" women had a macrosomia rate of 16.8% (vs. 8.4% in the average-sized women), and this is similar to rates in other studies as well. Although the rate is higher in the "obese" group, it should be noted that 83% of the "obese" group did not have big babies. The vast majority of "obese" women do not have macrosomic babies, yet the majority are treated as if they will have huge babies, and as if shoulder dystocia is inevitable in this group as well. In addition, many women who do have macrosomic babies have vaginal births anyhow. The afore-mentioned Navti 2007 study found that 83% of women who had babies around 10 pounds or more were able to have vaginal births. Even very big babies can often be born vaginally, given time, patience, sufficient mobility, and a calm caregiver. Demonstrating a lack of independent association between maternal obesity and shoulder dystocia may encourage clinicians to allow nondiabetic obese patients an adequate trial of labor rather than to choose to proceed to cesarean delivery earlier because of the fear of shoulder dystocia. This may decrease the incidence of cesarean delivery and the morbidity associated with it in the obese patient population. Unfortunately, most clinicians have not taken this advice to heart. Although the reasons for induction may get coded differently in official documents, many fat women anecdotally report that fear of a big baby or shoulder dystocia is one of the reasons most frequently used to pressure them into induction of labor. A policy of inducing most fat women because of the fear of a big baby means that most will be induced unnecessarily, as most will not have big babies anyhow. It disproportionately and unnecessarily exposes these women (and their babies) to all the risks of induction listed in the first section. Furthermore, since inducing for macrosomia usually increases the cesarean rate, it disproportionately increases the cesarean rate in women of size, exposing them to those risks as well. Few studies have directly examined the question of whether inducing for macrosomia in "obese" women improves or worsens outcomes, but it is reasonable to suspect that it worsens outcomes, as it does in other women. In what studies we do have, Graves 2006 found that the combination of obesity, macrosomia, nulliparity (first-time mom), and induction doubled the risk for cesarean section. And remember, Usha Kiran 2005 found a c-section rate of 19% in spontaneous labor vs. 41% in induced labor. They also found that induction was the beginning of many of the negative outcomes found in women of size. Unfortunately, the authors did not follow through to the logical conclusion and question whether they should be inducing so liberally. Instead they conveniently just blamed obesity for the cesarean rate. If you want to read further about the risks of inductions and why spontaneous labor is better for mothers and babies in most cases, read the accompanying Healthy Birth Practices handouts that explain and cite research to support their conclusions. See also the video link below. If you are a woman of size and want to lessen your risk for cesareans, ask your caregivers an open-ended question about what they would do if they suspected you were carrying a big baby. Then just let them talk and see what they say. If they mention decision-making based on ultrasound for estimated fetal weight, inducing early for a smaller baby, or scheduling a planned cesarean if baby is over 9 lbs., then you know this is not an evidence-based provider. Rather, it is one who makes decisions out of fear, has many negative assumptions about size, and who is mainly motivated by litigation concerns, rather than what's best for you and your baby. With this kind of provider, you are likely to end up with lots of interventions and a strong possibility of a cesarean. Whether that's acceptable is up to you...just go in with your eyes open and knowing the risks. Either way, be sure to watch the video below. *The topic of induction for suspected macrosomia is of particular interest to me, since 3 of my 4 children were "encouraged" to come early because of fears of macrosomia due to my size. 2 of these "encouragements" resulted in cesareans. If you are a woman who was encouraged to have an early induction or planned cesarean because of suspected fetal macrosomia, be sure to briefly let us in on your story in the Comments section. It would be interesting to know how much of the increased risk of preeclampsia for obese women is due to undercuffing, rather than actual high blood pressure (I'm sure it's not all of it, and equally sure that it is some of it). Unfortunately, I don't think we'll be seeing that study any time soon. Oh, I totally agree. Undercuffing is a significant issue for people of size, and particularly so in pregnancy, I've noticed. I have a whole series of blog posts on the issue. It's a topic close to my heart because it almost happened to me too....until I *made* them go get the correct-sized cuff. The rate of pre-eclampsia in women of size is definitely increased over the average-sized population. Nearly all studies show it. As you said, I'm sure some of it is misdiagnosis because of undercuffing, but I also think quite a bit of it is real. I think women with PCOS and major insulin resistance issues tend to be prone to pre-eclampsia and gestational diabetes, because of the insulin resistance. Not all women with PCOS get GD or PE, but they have much higher rates. And since many women with PCOS are fat, it looks like obesity 'causing' it, when in facts it's probably simply a correlation and more related to the IR. Exercise has been shown to lower the risk for pre-eclampsia among women of all sizes. Probably has to do with lowering insulin resistance, among other things. Doesn't prevent it all, but it does help some. My SIL was induced for "big baby" which was diagnosed via trusty @@ ultrasound. She is a woman of size. Induction failed. She received a cesarean. My niece was COVERED in vernix. My niece suffered from jaundice. Nursing didn't happen (possibly related to other factors). What's screwed up is that she's ok with it. Awesome post as usual kmom!!!! My sister in law let them induce. Her opinion is that pitocin is "made from Satan's juices" and that no one should choose that route that doesn't absolutely have to. My first was a planned cesarean for suspected fetal macrosomia. The surgery was suggested at my 39-wk visit and performed at 39 wks/6 days. The u/s had suggested he might be as much as 10lbs. My OB did not believe my small frame (I'm not plus-size) would be able to accomadate him. He was 9lbs 5oz. I did not experience any labor. I'm an inbetweenie. I was induced on my due date after my OB said the baby was 8lbs 16oz. At 4am, 13 hours after they induced and after 4 hours of active labor, my doctor told me that if I wasn't delivered after the next round of contractions they would have to do a C-section. Fortunately, my son was never in distress. He came almost an hour later 9lbs 3oz. My son never turned so he was born sunny-side-up. I did hemorrage after he was born and I have a huge episiotomy scar. I wish I had known then what I know now. I'm expecting again, and I've been diagnosed with APS, but I'm hoping to avoid induction this time. I was actually worried enough about being pressured into an early induction for one birth that I lied to my OB, saying my LMP was three days later than it was. Turned out to be a good thing because I had gestational diabetes with that pregnancy and was told I had to induce by the end of forty weeks. So we scheduled it for the last possible day using the LMP date I lied about; and labor started four hours before induction was scheduled. If I hadn't lied, then I would have had to have the induction three days earlier. The reason given was worry about the baby being big and having shoulder dystocia due to my having the gestaional diabetes. This despite my having good sugar control throughout the pregnancy. My baby was 7lbs 12oz; a nice size, but certainly not huge. I was an older mom, so I had a CVS and ultrasound dating etc. and I never got suspected. I think the three days was close enough to fit within the usual differences. On another note, my sister is even fatter than I am; and she didn't get induced for her pre-eclampsia until she started producing too much protein in her urine. Possibly because she was only 34 weeks at the time, or possibly she just got better care than just looking at the BP numbers. Although undercuffing is a problem, my most recent care provider admitted to me that part of the problem with suspected high blood pressure is that ideally women should be allowed to sit for about 15 minutes after arriving in the office before having their vitals taken. Of course, that rarely if ever happens. This is my third child; my blood pressure was never high with my first two but I have a new job and new living situation, both of which are very stressful. When I initially came into the office and they took my vitals immediately, my BP always came back as between 140-160 over 80-90 - high by ANY standards - and so at my second to last appointment my doctor recommended that I begin taking medication to manage it. The side effects were, to say the least, scary - and I knew in my heart my BP could not possibly be that high! I began using the blood pressure machine at my job to monitor it and found that it was routinely between 120-130 and that the diastolic never went over 75. In other words, relatively normal for an obese pregnant woman in a high-stress situation. At my next appointment I demanded that they retest me and while the first check was again high, the second one was just a tiny bit higher than my "normal" (which I blame on the perceived stress of the doctor's office that I routinely experience). I advised my provider of this and he admitted the above with the ideal need to wait. I intend on demanding from now on that my provider waits to do my blood pressure until I have time to sit and calm down. I will say too that while my other two children were suspected to be large (first was 8lbs 4oz and second was 9lbs 2oz) I was never encouraged to induce because of size. I was encouraged to induce with my second baby because I was, gods forbid, a day past my "due date" (which was as much an estimate as it is with anybody else). Although both births were augmented and included epidurals both boys were born vaginally. This time, my provider has already brought up (I am 21 weeks now) that he would like to induce me early because of my size. He will be quite sad if he schedules an induction I don't show up for, as I have no intention of being induced without clear medical necessity (and my size alone, or being "post-dates", do not indicate medical necessity to me). They are also supposed to have you seated, not talk to you, hold your tested arm at heart level, and have your knees and back supported. Where do they usually test? Some practices I've been to do it correctly, but many do it sitting on the GYN table (legs dangling and back unsupported), talk to you, don't give you the 15 minutes before taking it, and don't hold the arm up or support it for you. Not to mention not using the correct-sized cuff, of course. And lots of people have "White Coat Hypertension" where they just tend to run high at the care provider's office, but are normal at home. I'd suggest you get a home BP monitor and see what your pressures are running routinely during the day, both at home and while out and about. The important thing is to know what's going to in most of your regular life. If that's high, then medication should be considered. Acupuncture can often help in pregnancy too, as long as there's not an underlying problem like developing pre-eclampsia, kidney issues, etc. Don't forget, you can still switch providers if needed. Maybe a midwife? But good for you for holding strong for yourself! A woman's size on the outside does not indicate her size on the inside. Some tiny women actually have very roomy pelvises internally. The issue of greatest concern is the baby's position; if it's not good, then the fit is more challenging with a big baby. If it's good, many women have birthed big babies, often even very large babies. Keeping the mother upright and mobile as much as possible may help. You can always labor and see how it goes, and if you decide to transfer for a c-section because labor is not progressing well, then you know you tried and gave your baby the benefit of labor first...but it's up to you. There is a higher risk for shoulders getting stuck with a very big baby, so you want to have a care provider that does not panic at the thought of a big baby and who is well-versed in how to resolve shoulder dystocia should it occur. Of course, you can always opt for a planned c-section without labor if you are really concerned, but don't forget to weigh the possible risks to any future pregnancies, as a history of cs increases the risk for placental issues. And don't forget that most big babies are born vaginally and everything might be just fine. Again, it's your choice. Big babies do present unique challenges, but most big babies can be born without problems, esp if the mother stays mobile and listens to her body, and if the provider is well-trained and stays calm. The largest baby I have a birth story for was over 13 lbs. and was born just fine, no issues. But each case is different and you need to separate out your fears from your intuition and see what they are telling you. Best wishes to you.